Doubtless God would have made a better berry, but doubtless God never did. I think it's safe to say that the strawberry is the darling of the fruit world. 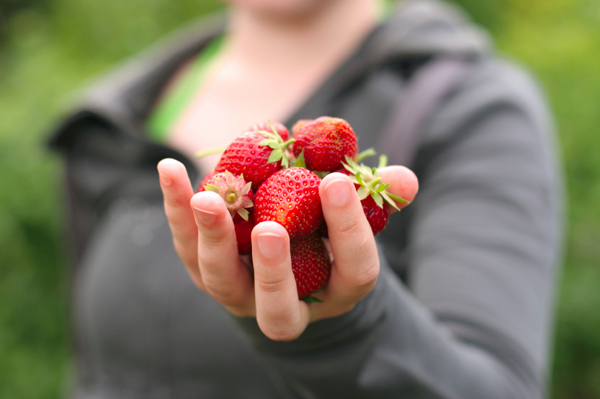 The color, aroma, and flavor of strawberries have found their way into all sorts of foods. What would an elegant gathering be without chocolate-covered strawberries, or a romantic interlude without strawberries and cream? A summer afternoon without strawberry ice cream, or a birthday without strawberry shortcake? Breakfast without strawberry preserves? A trick-or-treat bag without strawberry lollipops? A juice bar without strawberry shakes? Strawberries are native to both the Old and New Worlds. Their seeds have been found in Stone Age ruins and it is believed that they were cultivated in ancient Rome. The origins of the word strawberry are unknown, however. One theory is that people once used the berries for decoration by drying them and stringing them on straw. Another theory is that since the mother plant strews seeds all over a berry patch, the name is derived from "strew." Part of the rose family, strawberries have been used medicinally since at least the Roman era, when people believed they helped digestive ailments, discolored and loose teeth, and skin irritations. And they were right (more on that in a minute). What we also know today is that strawberries are one of nature's best antioxidants and they compete with some of the most nutrient-rich fruits and vegetables on the market. They contain phytochemicals (such as catechins, flavonoids, phenols, and tannins), which are cancer-fighting. The excellent vitamin C levels also help in fighting cancer. Studies have shown that people who eat strawberries on a regular basis are less likely to develop cancer. One cup strawberries provides 140% of the U.S. Recommended Daily Allowance of vitamin C—-more than one orange! 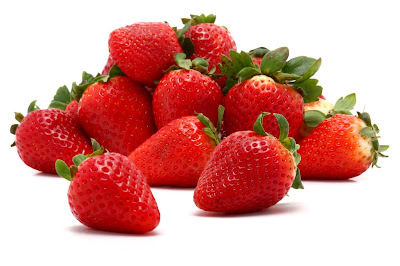 Another important element found in strawberries is folic acid. One cup strawberries contains 20% U.S. RDA of folic acid. Folic acid, a water-soluble B vitamin, is believed to decrease incidences of heart disease and some forms of cancer, and reduce high serum cholesterol levels. One cup strawberries contains approximately: 1 g protein, 12 g carbohydrates, 31 mg calcium, 32 mg phosphorus, 276 mg potassium, 4 g dietary fiber; 5 RE (retinol equivalent) vitamin A, 94 mg vitamin C, 1.5 mg iron, 88 mg ascorbic acid, as well as thiamin, riboflavin, and niacin. The folic acid, known as folate in foods, is an important nutrient for pregnant women to consume. Studies show that folic acid is vital for the health of an unborn baby, especially in preventing spina bifida, a birth defect of the spinal chord. Almost one out of every 1,000 infants in the United States is born every year with spina bifida, according to the Spina Bifida Association of America. Along with this devastating disease often comes brain and nerve defects. Folic acid cuts the amount of incidences of all these defects by 50 to 75%. The recommended amount for women is 0.4 mg every day at least one month before becoming pregnant and during the first 3 months of pregnancy. In 1998, breads and enriched cereal grains began to be fortified with folic acid; the SBAA estimated that this would decrease the incidences of spina bifida and other defects by about 22%. In addition, studies show that folic acid may also help prevent miscarriages and Alzheimer's Disease, according to the April 2000 issue of Obstetrics & Gynecology. Strawberries (all parts) have been used throughout history for ailments of the digestive system, such as diarrhea, constipation, and dysentery. The ancient Romans were right about dental discoloration. Supposedly, strawberry juice left on your teeth for about five minutes and then rinsed with warm water and bicarbonate of soda will help eliminate discoloration. For people allergic to them, strawberries may cause blotchiness of the skin. 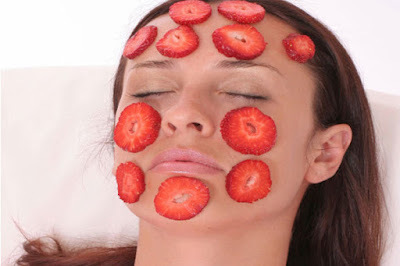 But for the rest of the population, strawberries may help improve skin condition. To whiten your skin or alleviate a slight sunburn, wash your face, then cut a strawberry in half and rub it over your skin. Rub it into your skin, leave it for half an hour, then wash it off with warm water for a more extreme sunburn. The salicylic acid in strawberries makes them an excellent skin toner, leaving it smooth and tight. Furthermore, strawberries act as an antiviral, helping you ward off colds and infections. As any other produce, I encourage you to seek out organically grown strawberries, since they are one of the biggest targets for pesticides. According to the Environmental Working Group (http://www.ewg.org), strawberries rank number one as the most "contaminated fruits and vegetables consistently contain[ing] the most residues of the most toxic pesticides." So, while strawberries help fight cancer, they can also cause it because of those chemicals. Therefore, do your best to seek out organically grown fruit; you don't want to negate the wonderful benefits that strawberries offer. Love for strawberries reaches far and wide. In the United States, people can munch on fresh strawberries in May to honor National Strawberry Month. Throughout the summer months, there are countless strawberry festivals all over the world. If you're ever in the area, visit the Santa Maria Strawberry Festival in California; the Cedarburg Strawberry Festival in Cedarburg, WI; the Wheels Festival and Strawberry Social in Salmon Arm, BC, Canada; and the Wallington Strawberry Festival in Wallington, Victoria, Australia. Speaking of love, one more interesting piece of lore about strawberries is that according to the Yoruban religion, strawberries are sacred to Erzuli, the goddess responsible for granting women what they most desire in the areas of love, marriage, and home. I'd say that's a good enough reason to eat more strawberries, don't you? The recipes below are both from the California Strawberry Commission, which you can visit at http://www.calstrawberry.com. Spread a thin layer of light cream cheese on whole grain toast. 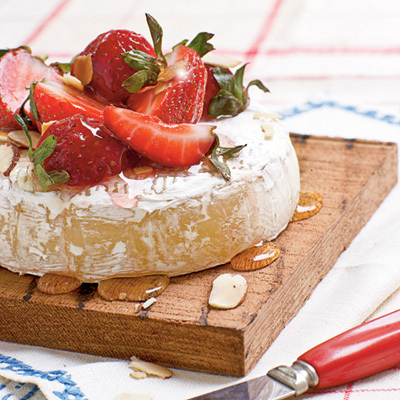 Top with sliced California strawberries and drizzle with honey. Warm a wheel of ripe brie cheese in 350 F oven until very soft. Gently cut off top of rind; top with whole fresh strawberries. Sprinkle with sugar and slivered, toasted almonds.